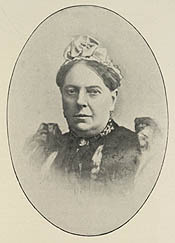 Annie Hector, who published under the name of Mrs. Alexander, wrote several novels during her marriage; but her husband, the explorer Alexander Hector, disapproved of her writing. After his death in 1875, she used his first name as her pseudonym and published over forty novels. Many female writers pointedly employed their married honorific as part of their pen namea strategy calculated to side-step the social stigma attached to "scribbling old maid." Marriage also implied that their writing was motivated by feeling rather than financial necessity, a concern for women anxious to maintain the appearance of leisured-class status.